A class with syndee holt is non-stop fun – trying many techniques and learning what interests you most. syndee’s wide and deep knowledge of polymer clay trends and techniques, her “hot off the design and production line” connection with Polyform, and her playful approach to teaching make this two day class a full-on learning adventure. In this “creative riot” of a workshop, students will have the opportunity to try new tools and multiple techniques. And if you want to make a “left turn” to make it your own, syndee says, “FINE!” Of course there will be bracelets! Of course there will be the KC Stripper technique! Of course there will be anything else new she’s come up with and is willing to share! The three rings of the circus will focus on techniques more than project-based learning. The photos are examples of strategies demonstrated and applied in each “ring”. syndee will show you all the weird little tips and things she’s worked out with some of these tools. It’s quick, and she’s been told its (clay) life changing! Let’s get dirty! Gelli plates and transfers? Silkscreens? DONE! Got alcohol pens? Colored pencils? Let’s color! Paints? Did someone mention paints? Yes – we can explore them all! Here’s theREGISTRATION FORM. Click it. After you fill it out you will get a confirmation email with a payment link via PayPal. SDPCG Members have priority registration until APRIL 8th then the class is open to non-members. Don’t delay or you may lose your chance to learn from one of polymer clay’s innovators. Please review the guild’s cancellation policy at the end of the registration form before completing your class registration and making your payment. If you have questions not answered in the material accessible from the website links in the preceding paragraphs, email Kathy Hepburn (classinfo@sdpcg.com). 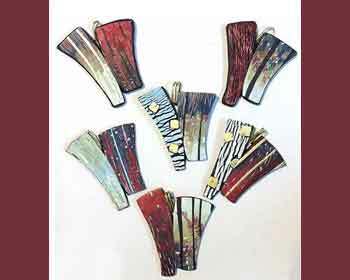 Lynne Anne Schwarzenberg is one of the masters of polymer caning and composition and is coming to California. While she’s “in the neighborhood” we’d like to offer some classes! Friday, April 5th thru Sunday, April 7th, 2019 By doing so, members of both guilds and other clayers can participate in one, two, or all three classes Two classes will be held in the San Diego location at Northminster Presbyterian Church and one class will be held in the Orange County location at the Piecemakers Country Store. Please Note: Class offerings and registration information listed separately by guild and location below. Read all the information and choose your class(es)! Saturday, April 6th from 10 AM to 6 PM. Take two classes in San Diego and save $10! After you fill out the registration form you will get a confirmation email with a payment link via PayPal. 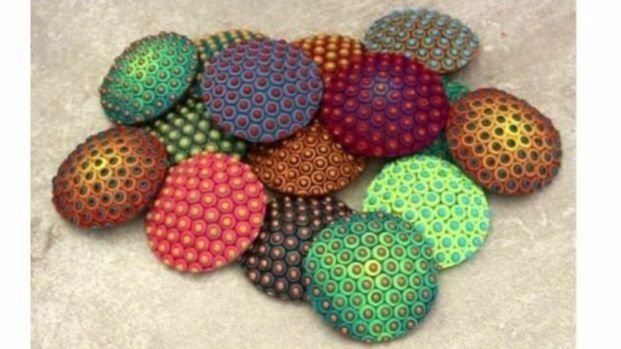 Don’t delay or you may lose your chance to learn from one of polymer clay’s masters. There will not be a drawing for one reduced price entry for these classes. Instead, the Memorial Funds will go towards the cost of the room. That makes the classes more affordable for more people. In this fabrication class, Lynne will spend some time teaching some of her caning techniques and you may bring some of your own if you have them. 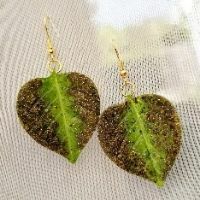 You will use your own or Lynne Ann’s canes to create delicate layered earrings that combine petals and leaves with Swarovski crystal and metal components. 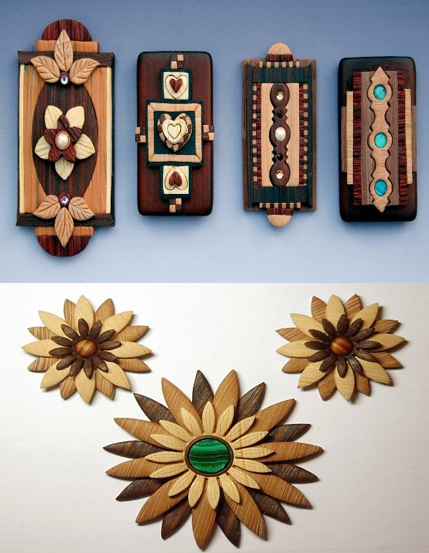 Learn to combine canes with small filigree pieces as well. Please note this class USES canes, and making canes in class will be limited. The holidays are close and your loved ones are worrying about what gift to give you. Make it easy for them. Print out this email and “accidentally” leave it where they will be sure to see it. A class with Carol Blackburn is fun and surprising. Her use of color, playful designs and surprising techniques for creating patterns are a special treat. 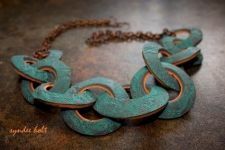 Carol is an excellent teacher, an inventive artist, and a precise “builder” of polymer clay jewelry and sculptural forms. TEMPORARY HOLD! Only 1 Seat Left! As of 5:31am Dec. 27, 2018. After you complete the Registration Form you will get a confirmation email with a payment link via PayPal. 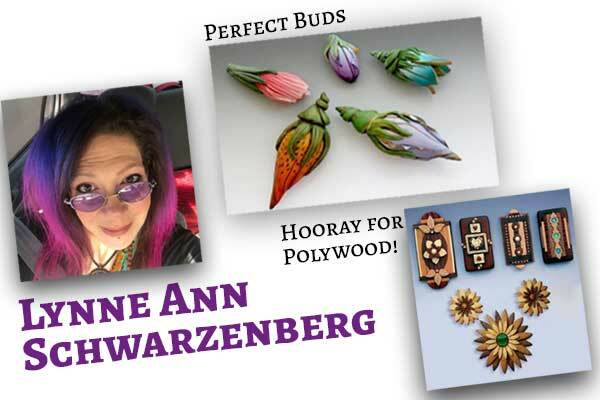 Don’t delay or you may lose your chance to learn from one of polymer clay’s masters. The subject line of the email will be, “SDPCG – Here’s your Carol Blackburn Class(es) Registration & Payment Link“. It should arrive in your email within 4 hours. If you don’t see it, do a search of your emails. It may have landed in your spam folder. 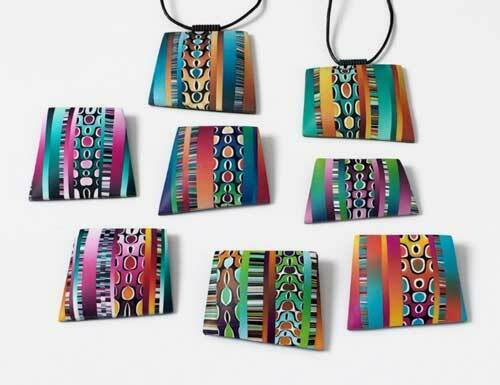 In this workshop, students will make hollow free-form shapes and use blends and patterned polymer veneers to create colorful pendants and pins. Students will learn blend making, an unusual but quick cane pattern, and an easily made striped sheet. They will discover techniques for making large, lightweight hollow forms. The construction for the pendant and pin are similar but the pendant can be finished with an extruded coil bail and the pin has a pinback fixed to its back. Each student’s finished piece will be unique because of their personal choice of colors, shapes, and pattern variations. As of 12:49pm Dec. 16, 2018. Want to be put on our Waiting List? Email kshepburn@gmail.com. 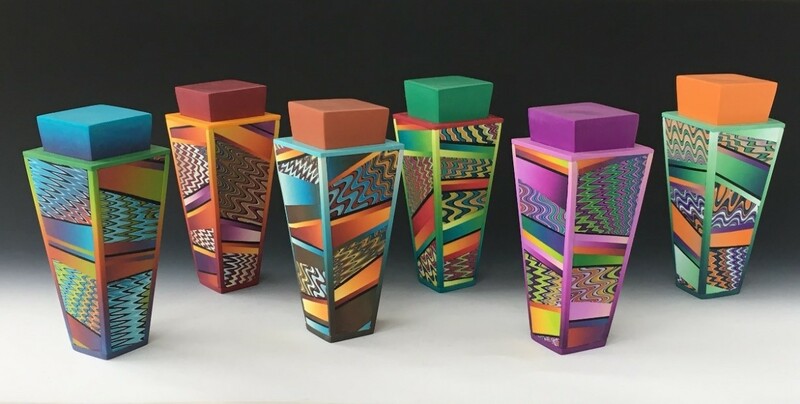 In this two-day workshop, students will make a colorful lidded box using just a few blended colors of polymer. Students will learn the construction of the box, starting with a cardboard form and then making the base shape and the lid out of scrap clay. While the base shape is baking, we will create the patterned sheets using her “Missoni” inspired zig zag patterns plus a simple stripe sheet. These patterns will form the main patterned area of the box. There will be several bakings during the construction of the box at which time other components will be made. The lid will end with a fun twizzle top or left plain as desired. If you have questions not answered in the material accessible from the website link in the preceding paragraphs, email Kathy Hepburn (classinfo@sdpcg.com). Email classinfo@sdpcg.com to be put on the Waiting List. If an enrolled student has to cancel, Kathy will contact those on the Waiting List in requesting order. OTHER REQUIREMENTS: Purchase of Helen’s Mad About Bowls video (included with class fee). Please note: Cost adjusted at registration for those who already own the video. CLASS SIZE: Minimum 10; Maximum 20. HOW TO REGISTER: All paid members will receive an email invitation that contains a link to the class registration form and payment method. 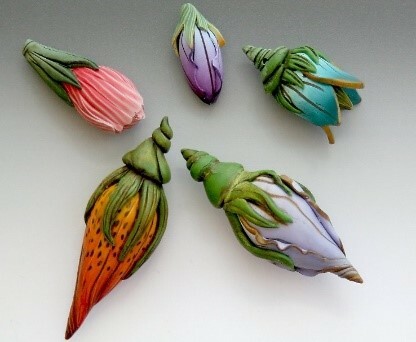 Have you admired Helen Breil’s meticulous work in polymer clay? Are you amazed by her unique and enchanting sense of style and design? Would you like to learn from her precise and clear instructions by video and written materials and share the experience with others? 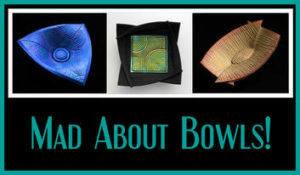 Join this unique group learning experience facilitated by Kathy Hepburn, using video and written materials created by Helen, and a live video link with Helen to ask questions, receive input and guidance, and show off your own “madness” about bowls. In this class participants will create one of Helen’s three charming bowls portrayed in the picture above. We will be creating the rectangular bowl (on the right in the picture) which, when finished, measures 4 x 2.25 x 1 inches. In the future, you can enlarge the diagrams to make a larger size AND create the other two, somewhat more complicated bowls. The learning process for this class has been described as “watch-do, watch-do”. The teacher will be Helen herself via her video/demo, with students watching as a group and then taking next steps in the creative process with support from Kathy as a facilitator. 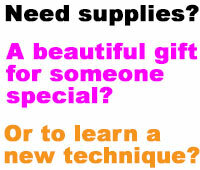 Participants will purchase OR must already own Helen’s online class. 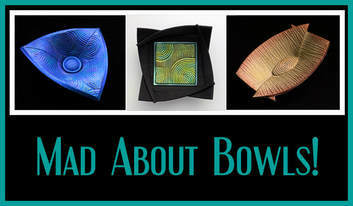 As a participant, you will learn a simple way to create your own texture sheet, make a clay focal point for the bowl bottom, use a template and paper form to shape a rectangular shaped bowl and a base, and use paint and metallic highlights to enhance your design. The “take home” is 1 texture sheet and 1 completed bowl. A class with Corliss Rose is a special treat. Our neighbor in Orange County and a member of our guild, Corliss is an excellent and inventive teacher who draws on her experience as a metalsmith to add unique metal findings to any project. To create these eye-catching pendants, participants will learn different and striking techniques for coloring on polymer clay with acrylic paint. You’ll be using two simple shapes that will be combined to make beautiful pendants or brooches and matching earrings. You will be shown how to permanently embed findings, distress/texture surfaces and do expert finishing. No need to worry about precise cutting, Your clay cuts do not have to be perfect, but your results will be! Individual one-on-one time will also be available for questions concerning color, texture, and construction. The “take home” is 1-2 pendants or brooches, and 1-2 sets of earrings. Fill out the ONLINE REGISTRATION FORM and then you will be sent a confirmation email with a PayPal payment link. If you’d been a member you would have gotten this information almost a month ago. Join SDPCG and get first chance to register for classes. If you have questions not answered in the material accessible from the website link in the preceding paragraphs, email Kathy Hepburn (kshepburn@gmail.com). Since Deb Hart is already here in San Diego for her Faux Turquoise Sea Turtle Box class…she has offered to do a pop-up, mini-demo/class where she will demo one of her newest project tutorials recently featured on Polymer Clay Daily and available on her website. Join the class and stay for a casual lunch with Deb! Watch the live demo; and “play along” to learn new skills and create the project. 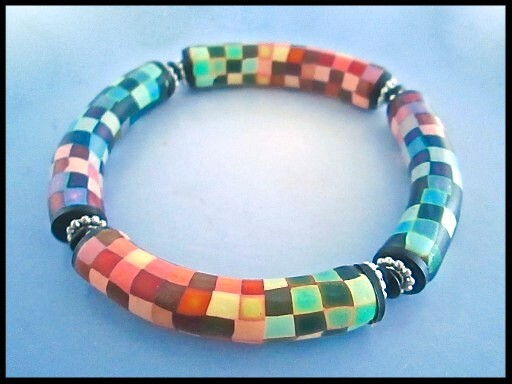 Deb will demonstrate how to make a colorful rainbow painterly pixel bangle bracelet, including how to make a set of pixel canes using custom rainbow blends; how to create and make tube bead blanks; and how to use the pixel canes to create this colorful bangle. Participants can complete their project on their own using Deb’s PDF tutorial. All participants will receive a discount code to purchase their own copy of the project PDF tutorial from her website for a reduced price of $5 (usually $15). The canes and blends are beginner skill level and require basic cane reduction knowledge. Participants will come away with a “how to” knowledge base, but may not be able to complete the project within the mini demo/class time-frame.